I find this portrait by Renoir intriguing. Certainly one thinks of him, first and foremost, as a painter of women, usually young and pretty and much engaged in the social scene – a boating party, a dancing couple, a scene in a bar. 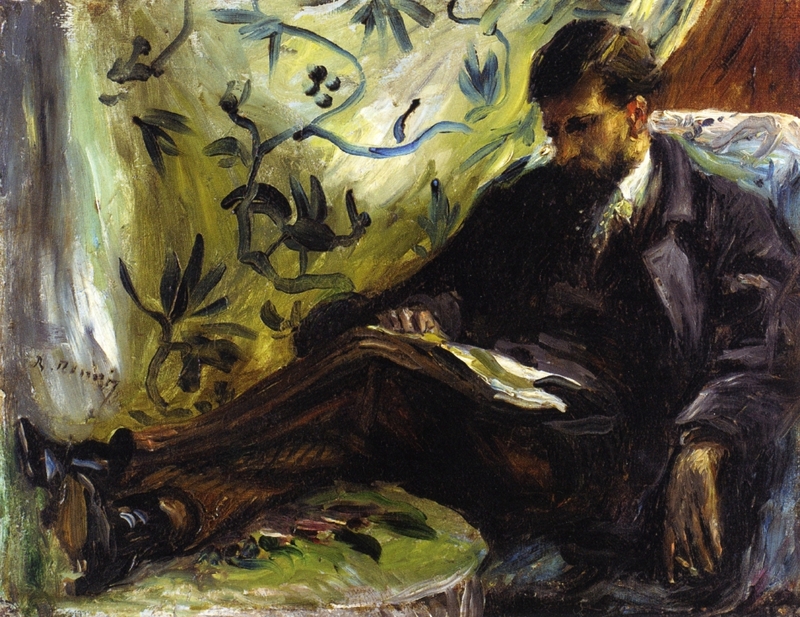 There are some portraits of people not quite so young and pretty, but they are generally very straight-up in style: heads and shoulders looking straight out at the viewer, not at all like this very thoughtful study of Edmond Maitre, engrossed in his reading, though his reputation was that of a dilettante and man-about-town.